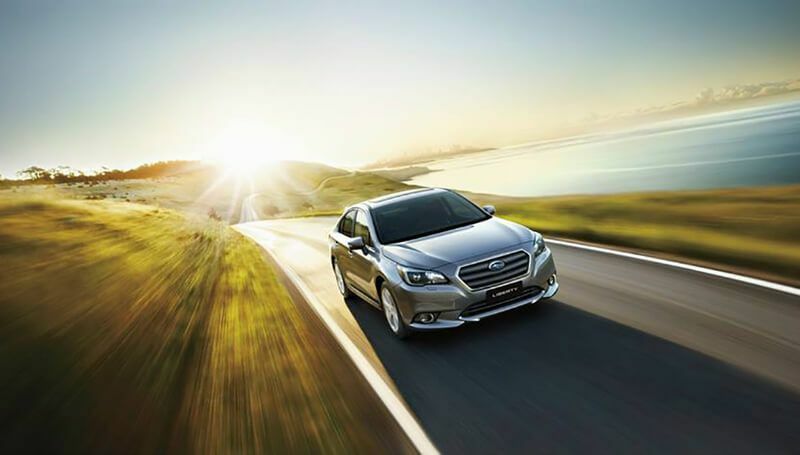 The all-new 2016 Subaru Liberty is the result of over 25 years of refinement and evolution. With a full feature list and safety performance that rivals many larger sedans on the market, and combining boxer engine technology with the Symmetrical All Wheel Drive (SAWD) system for a balanced and precise drive, the new Liberty sets the benchmark for mid-size sedans in a familiar package but with lots of new features to keep you enjoying each and every drive. 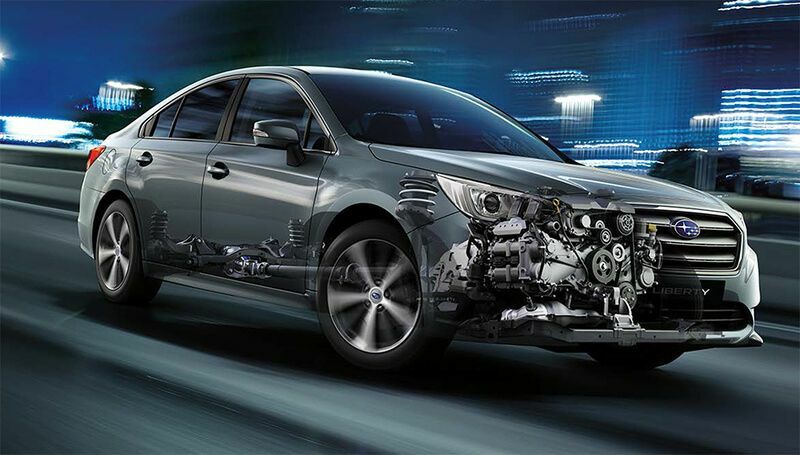 For the new generation of Subaru, we’ve kept safety as one of the highest priorities. We’ve introduced our most innovative safety technology into the 2015 Liberty including the EyeSight® driver assist system as standard to improve safety across all models. It works as a second pair of eyes which scans the road in front of you and alerts you of any potential dangers up ahead. Incorporated into Eyesight® are features like Brake Light Recognition, Pre-Collision Steering Assist, Adaptive Cruise Control, Lane Departure Warning, Lane Sway Warning, Lead Vehicle Start Alert, Pre-Collision Braking System, Pre-Collision Brake Assist and Pre-Collision Throttle Management; all part of a complex system working together to keep you safe! The Pre-Collision Braking System provides automatic braking intervention when necessary to help avoid or alleviate a collision if it detects it, while Lead Vehicle Start Alert lets you know if the traffic ahead has started moving again after stopping. 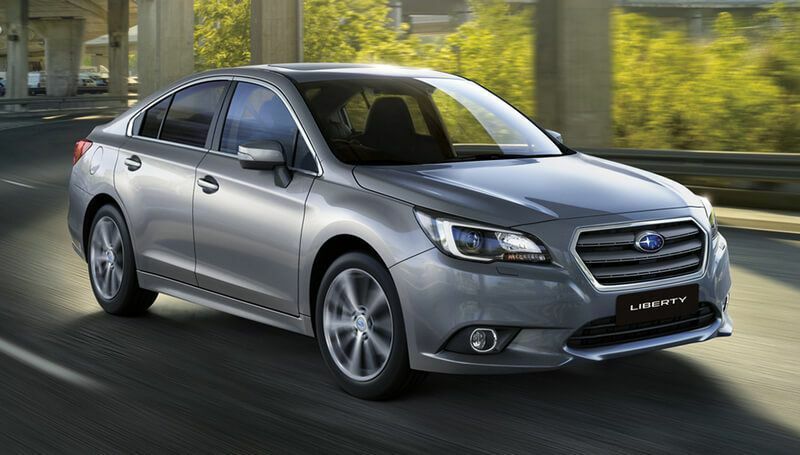 The heart and soul of the 2015 Subaru Liberty is of course the boxer engine, which gives loads of usable power and torque at 129kW and 235Nm respectively for the 2.5-litre flat-four cylinder engine, and 191kW and 350Nm respectively for the 3.6-litre flat-six engine. The boxer engine layout also gives much better car balance and grip by lowering the Liberty’s centre of gravity, as well as a much smoother power delivery and less cabin vibration through the horizontally-opposed engine which is symmetric about the car’s centreline. In the new Liberty the boxer engine is now combined with our Lineartronic™ Continuously Variable Transmission (CVT). This keeps the engine at its optimum torque and power range at all times, which improves both engine performance and fuel economy, and gear changes are now effortless and almost completely indiscernible with the paddle shifters on the steering wheel. 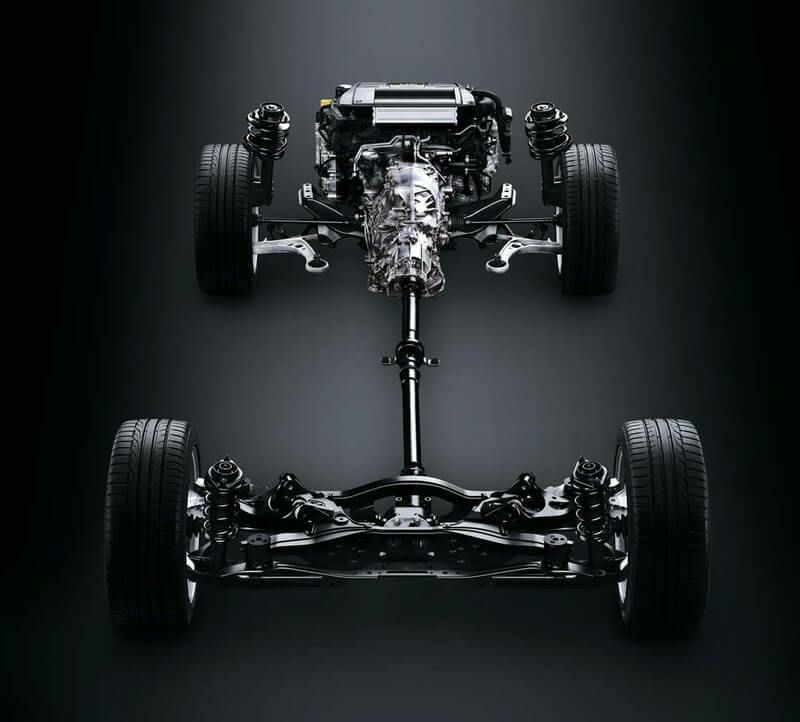 The Symmetrical All Wheel Drive (SAWD) system is our answer to great sporty handling. It delivers engine power to all four wheels at the same time, doubling the grip of the car and giving you much more control together with the help of the Liberty’s active torque vectoring system which controls the braking and torque on each wheel. 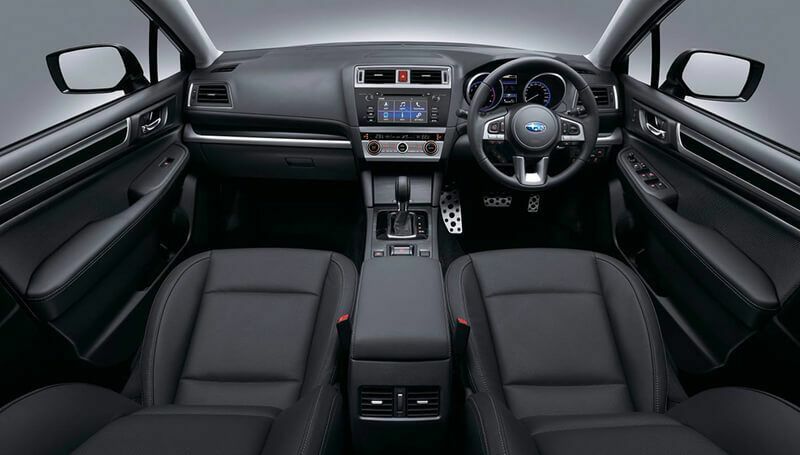 Subaru Intelligent Drive (SI-Drive) also works at the same time to manage and fine-tune the engine for even more power and efficiency. In addition, 18-inch wheels along with MacPherson strut front and double wishbone rear suspension gives a higher quality and smoother ride. On the inside, the cabin is plush and sporty at the same time. Keeping all of the occupants safe is the reinforced passenger safety cell, which forms the silhouette of the Liberty and increased interior space gives more room for you and your passengers with 42mm more shoulder space, 43mm more elbow space and 10mm more space between the front seats. Higher rear seats also give better visibility for the kids in the back, plus with 30mm more rear leg room adults are more comfortable too. Extra safety features include seven airbags – dual front airbags, driver’s knee airbag as well as side and curtain airbags – plus fold-down rear seats at the push of a button adds convenience to make the big 493L boot even bigger. 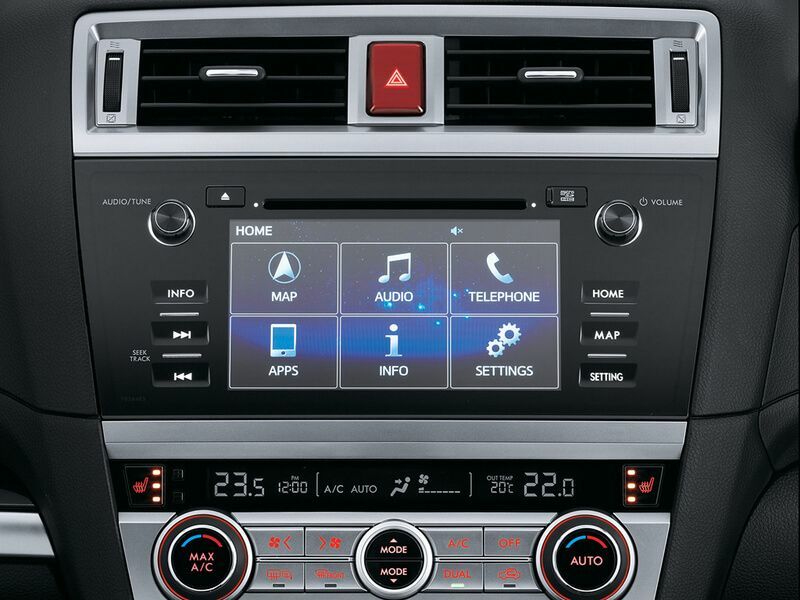 A large LCD touch display on the dash keeps you informed with audio, smartphone, driving and other vehicular information, and features Bluetooth® wireless compatibility too. These days the steering wheel doesn’t only give you control of your car’s direction, but in the 2015 Liberty it also lets you control the satellite navigation, audio, Bluetooth®, SI-Drive and adaptive cruise control systems as well. Form and function combined. This is the greatest Subaru Liberty yet. Get behind the wheel and experience it for yourself!